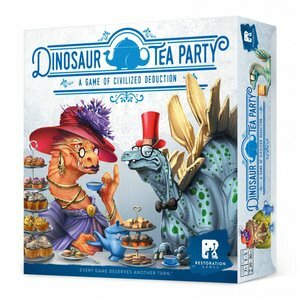 Dinosaur Tea Party is a thorough reimagining of Whosit? ; the 1967 identity-guessing game. 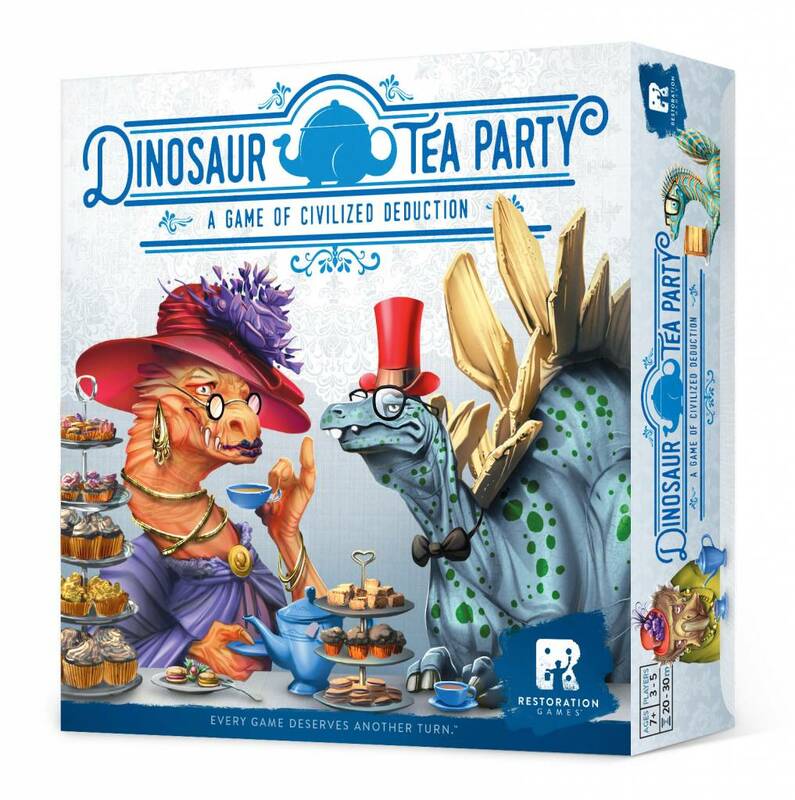 Each player is a dinosaur with a hidden identity. Players take turns asking each other questions to figure them out. The first player to deduce everyone`s name wins the game and is sure to be invited back for Sunday supper.